What some might call “the future of food” is arriving in the Fraser Valley later this month. Several “Ghost restaurants,” Aka delivery-only eateries, will be launching across the region thanks to the Joseph Richard Group. The BC-based hospitality company will be launching several of these spots in one day under the name of its newest venture, Meal Ticket Brands. The new brand boasts a portfolio of eateries that will operate out of kitchens in all existing JRG businesses – equaling 100 total – giving culinary teams the ability to offer a more diverse selection of offerings, all available for home delivery exclusively. Some of the new ghost restaurants include Obey Poke, STAK’D Sandwich Co., Frsh Frys, Power Plants, and Sweet Tooth Desserts. “Ghost restaurants allow us to continuously curate menu items to society’s constant changing tastes and trends”, explains Andy Slinn, JRG Executive Chef. 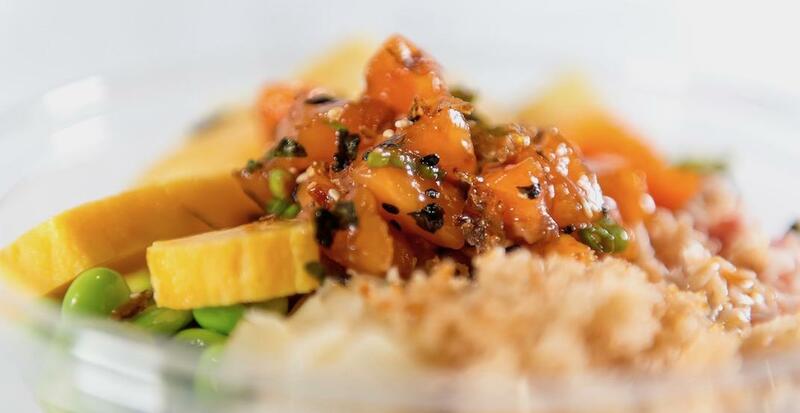 “From Poke bowls to Fried Chicken, guests can enjoy foods that fit their taste while maintaining the quality and standard that The Joseph Richard Group is proud to stand behind”. On April 22, customers can order from seven new ‘Ghost’ concepts using Skip The Dishes. Currently, there are 15 additional concepts in research and development for Meal Ticket Brands, and we’re told expansion into Greater Vancouver and across Canada will not be far behind this initial launch.